The first of a series of 10 training days to help tourism businesses in the North East’s protected landscapes to develop their astro-visitor offers are open for bookings. The events, designed to ensure stargazing products in and around Northumberland International Dark Sky Park and the North Pennines Area of Outstanding Natural Beauty provide a truly world-class experience, are being provided by the Animating Dark Skies* project partnership including Northumberland National Park Authority, Kielder Water & Forest Park Development Trust, the Kielder Observatory, the North Pennines AONB and Northumberland County Council. 29 April 2014 - Redesdale Arms, near Otterburn. 1 May 2014 - Hamsterley Village Hall, Hamsterley, County Durham. 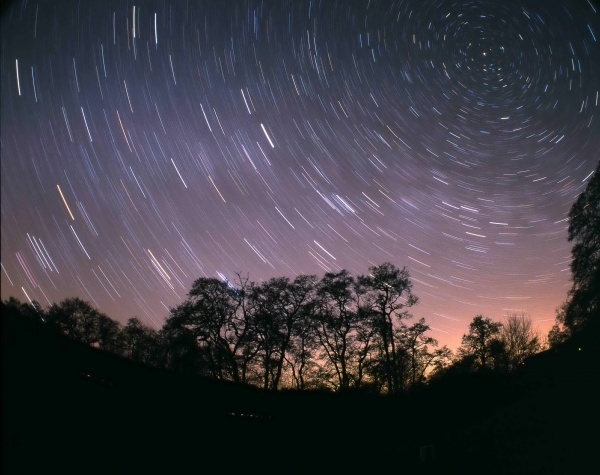 Northumberland International Dark Sky Park and the North Pennies AONB have some of England's darkest skies which show to advantage as the nights draw in at the end of the summer visitor season and offer a spectacular display throughout the winter until Easter. In a light polluted country they are also an economic asset which translates into a unique selling proposition for the tourism sector. Just as people have long been attracted by the region’s wildlife, landscapes and historic sites, now the stars offer another compelling reason to visit. Northumberland International Dark Sky Park, the largest area of protected dark skies in Europe encompassing 15000 K2 of Northumberland National Park and Kielder Water & Forest Park with the successful Kielder Observatory at its heart, was designated the highest international quality of night sky to great acclaim in December 2013; the wild Northumberland Coast provides great night sky vistas over the North Sea and the North Pennines AONB boasts more designated Dark Sky Discovery Sites than anywhere else in the UK. “To benefit from the international interest generated by our dark skies, tourism businesses need to act quickly to capitalise on this wonderful and distinctive feature of the region. We’re aiming to extend the visitor season and make sure our offer compares favourably with the best stargazing experiences in the World. “Workshop participants will get tips on making their businesses more dark sky-friendly, marketing stargazing opportunities, learn how others are tapping into the astro-tourism market and get practical advice on buying equipment. They will also be shown how to use telescopes and binoculars and, weather permitting, be able to view amazing stars, galaxies and planets at a mini star party. “We will also provide on-going support by being subscribed to our exclusive Stars for Profit resource website and be able to download monthly stargazing podcasts for guests to use on their phones. The *Animating Dark Skies project will build on the growing interest in Northumberland’s dark skies and the development of astro-tourism stimulated by the success of the Kielder Observatory and Northumberland International Dark Sky Park. The Observatory will continue to deliver a premier star gazing experience through its location, experienced astronomers and technical capability. This quality of visitor experience will be extended throughout the darkest areas of the region with the development of 31 new Dark Sky Discovery Sites throughout the International Dark Sky Park and the North Pennines AONB backed up by a network of trained and informed local businesses and accredited astro-event providers. Animating Dark Skies is receiving £225,000 of funding, partly from the Northern Lands programme made possible by a Rural Development Programme for England (RDPE) Rural Economy Grant administered by the Department for Environment, Food & Rural Affairs (DEFRA). The project has been match funded by Northumberland County Council, Northumberland National Park Authority, Kielder Water & Forest Park Development Trust, the Forestry Commission, Northumbrian Water, Kielder Observatory, the North Pennines AONB Partnership and Newcastle University together with support from Northumberland Tourism.